Ritmi e trasgressioni liriche anche in questo gioiellino dedicato a tutti i punk automobilisti e che non manca di ricordare il dichiarato amore dell’artista per i motori. Prego accomodarsi al download. 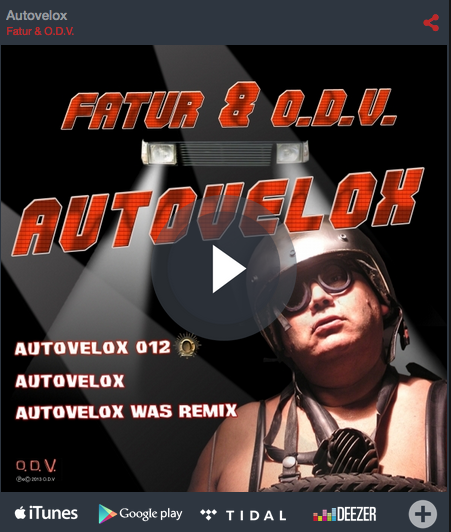 Is the first and effective single of Fatur, posthumous to Faturismo cd. Also in this small treasure, the rhythms and lyric transgressions are dedicated to all drivers punks and it dosn’t miss the opportunity to remember the declared love of the artist for the motors. Please have a seat and download it.